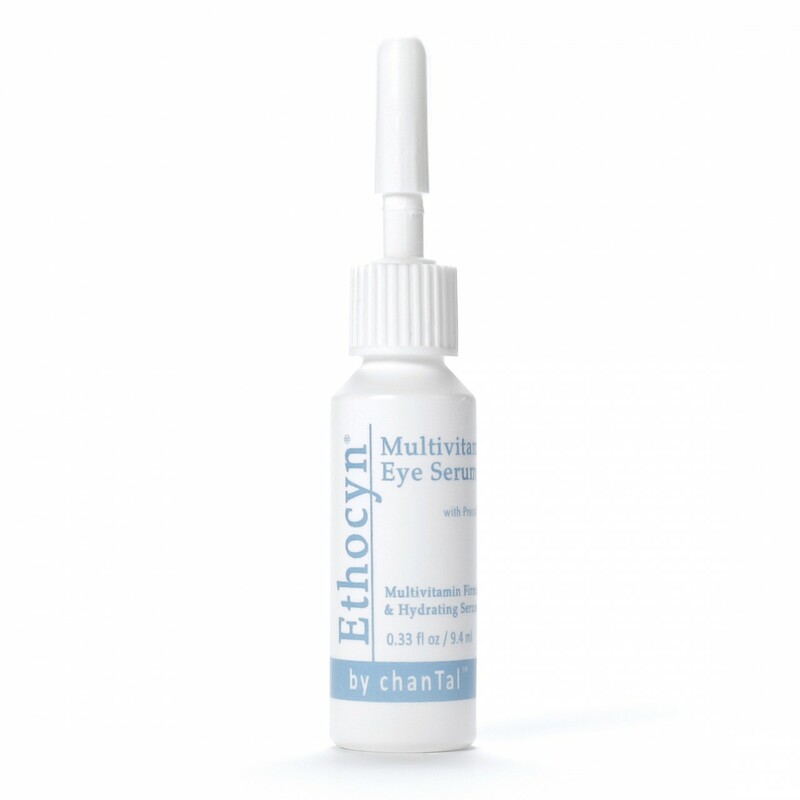 Ethocyn Multivitamin Eye Serum by chanTal is a lightweight, silky serum for the delicate and wrinkle–prone skin around the eyes. This unique formulation contains our patented ingredient Ethocyn in its most efficacious concentration, thus boosting the natural production of important elastin fibers. Vitamins A, C and E create a potent antioxidant coalition to fight environmental damage and dehydration, while organic silicones preserve moisture balance and promote elasticity and smoothness. In addition to the clinically proven and patented ingredient Ethocyn, this formula also contains our proprietary Procol™ complex which increases collagen-1, greatly reduces lipid peroxidation and decreases protein carbonylation––thereby preventing cell oxidative damage. Procol also increases catalase activity, which reinforces the natural antioxidant defense system of the skin. This serum goes on effortlessly and absorbs quickly to leave the eye area smooth, hydrated, and protected. Skin will exhibit a snap-back resiliency, and look and feel more nourished and hydrated.